Instagram is a social network that has about 700 million of users and it’s more popular than Twitter in two times now! Users spend about 30 minutes/a day on Instagram: they create posts with photos or videos, like and comment them, communicate in direct messages and watch other users stories. 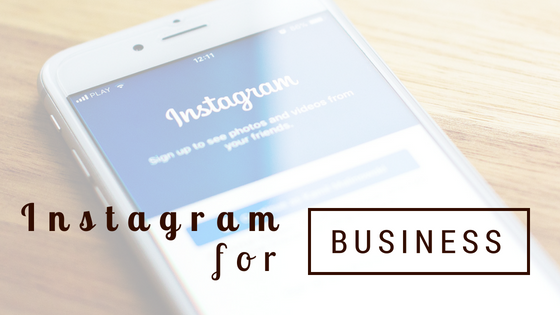 What is Instagram for business today? Instagram offers a great option for brands to create a business account – it means you get an Instagram account with a contact button, paid ad, free analytics of overall view of your Instagram posts, impressions, reach, and follower information, top of your posts, your followers data and more. Instagram is already used by 25 million businesses (up from fifteen million in July, 2017). So you can see that Instagram is becoming more attractive place for business to stand out and display the products and services. Top brands on Instagram are seeing a per-follower engagement rate higher in about 50 times than on Facebook and in 120 times than on Twitter. Why is Instagram so useful to boost your marketing campaigns? Instagrammers like to connect brands. About 80% of Instagram users follow business profiles today. That’s why brands can influence users decisions of buying their products and services by creating the right content that will satisfy the customers interests and needs. Instagram offers different kinds of content to introduce your company. In addition to common posts with a photo/video Instagram offers carousels – a mix of up to 10 photos or videos in a single post, and stories – the photo and video slide show disappearing in 24 hours. But business can get some bonuses by using them as an ad. Carousel has 3-5 images and links within a single ad unit to direct people to specific locations on your website. Story lets you engage your customers by delivering special offers, news and contests and they become more popular: there are already 250 million daily users. Plus Instagram lets you add links to your stories if your account has more than 10 000 followers. Instagram influencers can attract potential customers to your brand. As influencers have significant number of followers who might be interested in your brand, you should consider to collaborate with them especially if your audience is not large on Instagram yet. In a short period of time they can feature your products on their profiles and generate you a lot of sales. Advertising on Instagram. We’ve already mentioned an opportunity to promote your profile with carousels and stories but there are some more possibilities as e.g. you can use a simple photo or video ads. It would be important to highlight the customization of targeting options such as location, interests, demographics, behaviors and others so you’ll reach only the exact audience you need. Instagram is a great source to research users. You can get valuable user insights and your profile stats in Instagram Insights app or any third-party apps and study them to make in-depth analytics. How to create a free business account on Instagram? Add all the required information such as your name, bio description, website url, etc. Fill the business information required: opening hours, address and a phone number. After your account is ready you will get the full access to Instagram business features: Instagram ads and Instagram Insights. On Instagram you can learn your profile stats, your audience insights, interests, preferences, needs. From competitors you can get their growth strategy, marketing campaigns and their ways to engage their customers. Finally, you can research the influencers marketing strategies and their followers to choose the best ones for promotion. To learn more about the reasons of monitoring users on Instagram, read our article. To get the following information you can use the built-in app or third-party apps. Instagram Insights has a quite important feature – Discovery that displays the percent of users that viewed your posts but didn’t follow you. All this data and even more stats are very useful to analyze your account performance and evaluate the success of your marketing strategy. To expand the information of your profile you can use other apps – Iconosquare, for example, which provides your account’s analytics and also lets you schedule your posts and reply to comments to your posts promptly. But it’s not only your Instagram account data that matters. To build an effective marketing campaign you should research your audience preferences, competitors growth strategy, influencers ways of engagement. We would recommend to use Snoopreport tool to study the user actions. Snoopreport monitors user activity and provides user’s likes, follows, comments likes, liked media tags and the liked users categories. You’ll get the data in CSV reports as well that are rich in different metrics and extremely helpful for getting valuable user insights. As you can see from this article, companies that are seeking to grow their business should have their presence on Instagram and adjust the marketing strategy to take advantage of this fast-developing social network. We would be interested to learn your opinions on this topic. Share your thoughts in comments!